Custom Built Home in Wooded Oasis! 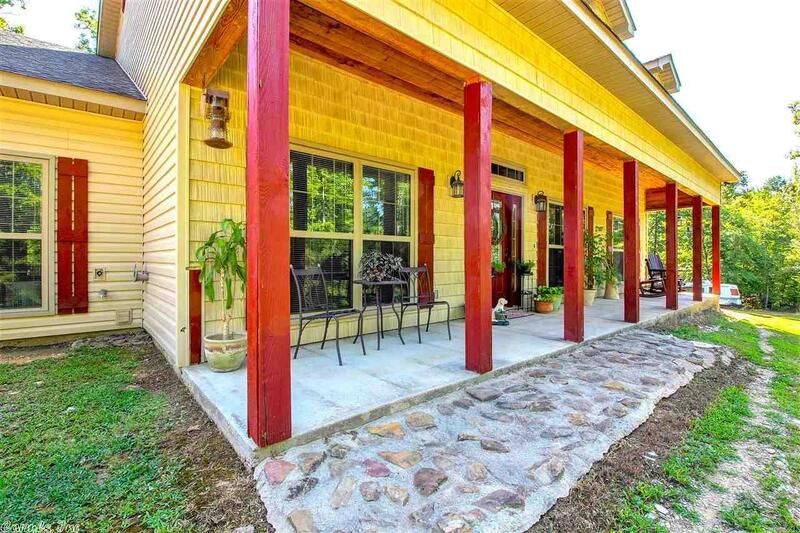 This gorgeous 4 BR/2.5 BA home is nestled atop of 9.76 acres of sprawling wooded land. Graced by soaring ceilings, large windows & 2 wood burning fire places! The open floor plan encompasses a dining room, great room, large kitchen & office. Kitchen features double ovens, granite counter tops & all stainless steel appliances! Master BR is complete w/ walk-in shower & jetted tub. Wrap around covered porches, deck, above ground pool! Wired for generator! Bryant schools!